I thought it would be fun to see what my ultimate favorites are that I still use today or even the ones that I tend to use year round. 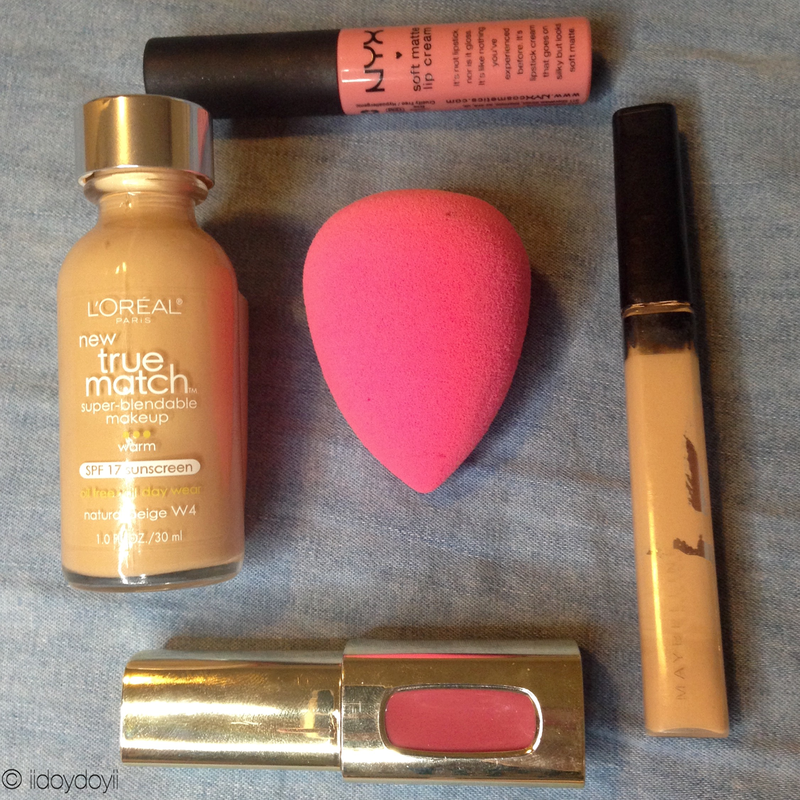 March – L’Oreal True Match Foundation is my daily foundation. I use the BeautyBlender for special occasions for an airbrushed look. I finished up that Maybelline Fit Me! Concealer. And I still use the L’Oreal Blushing Harmony lip gloss on and off throughout the year. April – I love Bioderma and finished up Fresh Petal Lip Treatment. May – These are products I’d use more when the weather starts to warm up again, but I do use the Coach sunglasses and the Blinc Eye Brow Mousse. June – I just used that Jouer MMT and Laura Mercier face primer combo yesterday! I will always love the NYC Sunny Bronzer for its great color and application. July – Anastasia Brow Wiz is what I use daily, and I’m scared for the day it runs out. I love Cotton Candy lipstick any time of year because it is moisturizing. I still use MUFE Full Cover Concealer on blemishes. Clinique gel is still what I use and I will always love it! Last but not least, I love wearing my earring jackets. August – I still use all of those lip products and NYM Sea Salt Spray on a regular basis. September – MAC MSF is a great transition color. Shu Uemura eyelash curler is used all the time, whether I use mascara or not. I use Kiehls Midnight Recovery Concentrate a couple times a month. I keep the oil blotting sheets in my bag and use them all the time because an oily girl like me needs it! October – I use the Kasbah lipstick and MAC Rice Paper regularly. November – I use Naked Basics palette, Tarte powder foundation, Hourglass Mineral Veil Primer, and Essie Apricot Cuticle Oil everyday! As you can see, these are my ultimate favorites! I hope you enjoyed reading as much I enjoyed putting this together. What are your ultimate favorites year round? MAC rice paper is just too awesome!! Your blog is really lovely, I can’t wait to see more. Would you mind taking a look at mine? Naked Basics is such a lovely neutral palette, great picks! How have you been finding the lasting perfection concealer? I love Naked Basics palette for everyday wear. You can do so many looks with that one palette. Amazing! I am finding that I like the lasting perfection concealer on blemishes more than under eye area. It tends to settle and crease under there so I suggest taking just a little bit for under eyes. It does last a good few hours. Love that it is creamy, making it easy to blend out. I’m still contemplating doing favourites. I did one last year but wasn’t too keen on continuing to do it since my favourites don’t shift that quickly. I like that you’ve got such a variety every month! Oh I still remember the saga of the earrings jackets! Did you ever buy a back up pair? I thought I wouldn’t have a variety of favorites, but I ended up really liking those posts. Fun to do! I bought a gold version as my back-up pair.